WHY NIX IN THE MIX? Nix was inspired at a young age watching his father DJ at small events as a kid growing up. Nix in the Mix is one of the most explosive DJs in the industry. Over the past 20 years, Nix has been able to create a strong presence and reputation in a highly competitive industry. Starting his career in New Jersey, Nix quickly rose to the top and became one of the Garden State’s most respected and well-known DJs. He has been seen on BET Jams as a reoccuring DJ. After mastering NJ’s college party and club circuit, Nix expanded his focus, and was determined to take the nation’s college market by storm. Since 1994, he has performed for some of the most notable higher education “meccas” in the country including Harvard University, Rutgers University, William Paterson University, Delaware State University Kean University, M.I.T., University of Maryland-College Park, Cornell University, University of North Carolina-Chapel Hill, University of Delaware, and Nova Southeastern University to name a few. To add to his repertoire, Nix has performed with some of the industry’s most popular artists over the past two decades including: Stevie Wonder 50 Cent; Kanye West; Jay Z; Nicki Minaj; Lil’ Wayne; Young Jeezy; Rick Ross; T.I. ; Busta Rhymes; Kendrick Lamar; Meek Mill and many more. ﻿He has played in 30 states and 5 different countries. 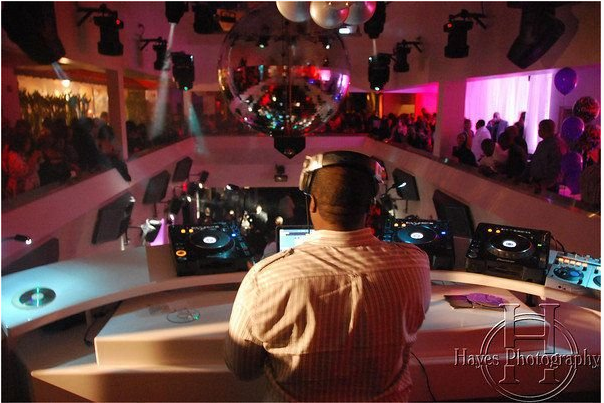 One of his career highlights was performing with two-time Grammy winner Fatman Scoop, which included traveling performances both in the U.S. and abroad. Nix has proven to be the only DJ you need to know to take care of all of your DJ needs. Much of Nix’s success can be attributed to his high energy, unmatched experience, professionalism, consistency, and his team of DJ’s. Nix is now touring with his own company, Show4You Entertainment, and Nix in the Mix, LLC. The two companies frequently collaborate to bring the revolutionary video dance party, lighting, sound, music artists, comedians, and motivational speakers on a global scale. Nix is fully insured, and is THE one stop shop for your entertainment experience! Press kits are available for businesses, corporations, special events and higher education institutions. Nix is open to new opportunities that will expand his brand.